Diabetes mellitus is a syndrome that is characterized by hyperglycemia, change in the metabolism of lipids, carbohydrates, and proteins, and in the long term, with eye, kidney, cardiovascular, and neurological complications. Plenty of plants from different regions of the world have been investigated for anti-diabetic effects. This review article was designed to report some of the most important medicinal plants with hypoglycemic properties according to reliable clinical and laboratory evidence, and also touched on the medicinal plants that are prescribed in Iranian traditional medicine, for the treatment of diabetes. The information in this review was obtained from the eligible articles retrieved using the search terms diabetes mellitus, medicinal plants, type 1 diabetes and medicinal plants, type 2 diabetes and medicinal plants, and the effect of extract and essential oil of medicinal plants affecting diabetized tissues in the human body indexed in databases such as Iran medex, Irandoc, ISI, PubMed, Scopus, SID, Magiran, Google Scholar, etc. Based on the results drawn in this review the plants, Urtica, Trigonella foenum-graecum, Allium sativum, Carthamus tinctorius, Ferula assa-foetida, Bauhinia, Gymnema sylvestre, Swertia, Combretum, Sarcopoterium, Liriope, Caesalpinia bonduc, Coccinia grandis, Syzygium cumini, Mangifera indica, Momordica charantia, Ocimum tenuiflorum, Pterocarpus, Tinospora cordifoli, Salvia officinalis, Panax, Cinnamomum verum, Abelmoschus moschatus, Vachellia nilotica, Achyranthes, Fabaceae, Mentha, Asphodelaceae, Andrographis paniculata L, Artemisia herba-alba, Artemisia dracunculus, Azadirachta indica, Caesalpinioideae, Pachira aquatic, Gongronema latifolium, Nigella Sativa, Tinospora cordifolia (guduchi), Chrysanthemum morifolium, Zingiber zerumbet, Symphytum, Cactaceae, Symplocos, Perilla frutescens, Terminalia chebula and Aloe vera are effective to controland treat diabetes. Diabetes mellitus is a syndrome that is characterized by hyperglycemia, change in the metabolism of lipids, carbohydrates, and proteins 1. Diabetes mellitus is the most common chronic and metabolic disease characterized by an increase in glucose levels due to absolute or relative insulin deficiency. The disease is associated with eye, renal, cardiovascular, and neurological complications in the long term. This disease is also associated with symptoms such as polyuria, fatigue, weight loss, delayed wound healing, blurred vision, increases in urine glucose levels, etc. 234. Destruction of beta-cells of the islets of Langerhans in the pancreas and consequently development of insulin-dependent diabetes is one of the impairments of the regulation of the immune system. Several environmental and genetic factors affect the immune system, leading to the attack of lymphocytes, especially lymphocytes, and pancreatitis. This inflammatory response may cause insulitis and diabetes 56. There are currently more than 150 million people with diabetes across the globe, which seems to reach 300 million by 2025 7. In the absence of proper treatment, cardiac, vascular, neurological, and renal damage and neuropathy may occur. Treatment includes diet, exercise, and medication 8. Currently, the main and effective treatment for diabetes is the use of insulin and hypoglycemic drugs, but these compounds also have many adverse side effects 9. 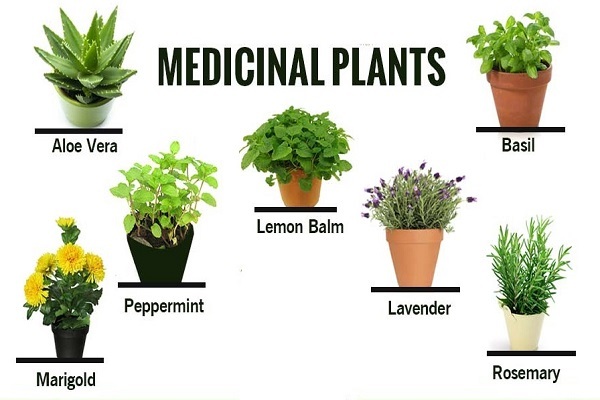 Medicinal plants have a long history of usage and today, they are being extensively used for various diseases 1011121314. There are several reasons for increasing the use of medicinal plants. Many plants from different parts of the world have been investigated for antidiabetic effects. This review article reported some of the most important medicinal plants with hypoglycemic properties according to reliable clinical and laboratory evidence, and also touched on the medicinal plants that are prescribed, in Iranian traditional medicine, for the treatment of diabetes. The information in this review was obtained from the eligible articles retrieved using the search terms diabetes mellitus, medicinal plants, type 1 diabetes and medicinal plants, type 2 diabetes and medicinal plants, and the effect of extract and essential oil of medicinal plants affecting diabetized tissues in the human body indexed in databases such as Iran medex, Irandoc, ISI, PubMed, Scopus, SID, Magiran, Google Scholar, etc. Based on the results drawn in this review the studies, Urtica, Trigonella foenum-graecum, Allium sativum, Carthamus tinctorius, Ferula assa-foetida, Bauhinia, Gymnema sylvestre, Swertia, Combretum, Sarcopoterium, Liriope, Caesalpinia bonduc, Coccinia grandis, Syzygium cumini, Mangifera indica, Momordica charantia, Ocimum tenuiflorum, Pterocarpus, Tinospora cordifoli, Salvia officinalis, Panax, Cinnamomum verum, Abelmoschus moschatus, Vachellia nilotica, Achyranthes, Fabaceae, Mentha, Asphodelaceae, Andrographis paniculata L, Artemisia herba-alba, Artemisia dracunculus, Azadirachta indica, Caesalpinioideae, Pachira aquatic, Gongronema latifolium, Nigella Sativa, Tinospora cordifolia (guduchi), Chrysanthemum morifolium, Zingiber zerumbet, Symphytum, Cactaceae, Symplocos, Perilla frutescens, Terminalia chebula and Aloe vera are effective to control and treat diabetes. The names, families, and used parts of the medicinal plants are summarized in Table 1Table 2Table 3Table 4Table 5. The mechanism of the effect of these drugs is shown in Table 6Table 7. Diabetes is a condition that is characterized by high blood sugar levels. Millions of people worldwide are affected by the disease. Research on diabetes is ongoing. When a person develops diabetes, insulin deficiency or the body's inability to consume it causes the sugar to remain in the blood instead of reaching the cells and producing energy. This excess amount of sugar in the blood causes the blood sugar level to exceed normal level. Before the discovery of insulin and hypoglycemic drugs, diabetic patients were treated with medicinal plants and traditional treatments. So far, the positive effects of over 1200 herbal drugs in reducing blood glucose levels or the complications due to hyperglycemia have been established. Each plant may have its own effective component to reduce hyperglycemia. However, these plants have been shown to possess antioxidant activities 313233343536. Oxidative stress is involved in development of diabetes and a lot of other diseases 353637383940. Therefore, these plants, at least in part, impose their anti-diabetic activities through this mechanism. Because oxidative stress is the cause of a wide variety of other disease and these plants have antioxidant activity, hence, they may have beneficial effects on other diseases, too 4142434445. It is noteworthy that these plants due to their antioxidant activities and other mechanisms are able to reduce the toxic effects of toxic agents or other drugs 46. However, they themselves may have toxic effects and might be used with caution 47. More importantly a lot of other plans have antioxidant capacity 484950. Hence, these plants may also have anti-diabetic activities and/or can reduce diabetes complications. All authors searched, studies, reviewed and contributed to the design of the research. All authors reviewed, commented and approved the final draft. The present study was supported by Lorestan University of Medical Sciences. We cordially thank of Lorestan University of Medical Sciences, Iran. ISHIHARA Eriko, MIURA Toshihiro, SHINYA Nobuko, USAMI Masaru. Effect of the water extract of perilla leaves on glucose metabolism in diabetic rats. Suzuka University of Medical Science, Bulletin. 2005; 12 : 79-84 . Rao Nalamolu Koteswara, Nammi Srinivas. Antidiabetic and renoprotective effects of the chloroform extract of Terminalia chebula Retz. seeds in streptozotocin-induced diabetic rats. BMC complementary and alternative medicine. 2006; 6 : 17 . Ziamajidi N., Nasiri A., Abbasalipourkabir R., Sadeghi Moheb S.. Effects of garlic extract on TNF-α expression and oxidative stress status in the kidneys of rats with STZ + nicotinamide-induced diabetes. Pharmaceutical Biology. 2017; 55 : 526-31 . Antu K. A., Riya M. P., Mishra A., Sharma S., Srivastava A. K., Raghu K. G.. Symplocos cochinchinensis attenuates streptozotocin-diabetes induced pathophysiological alterations of liver, kidney, pancreas and eye lens in rats. Experimental and Toxicologic Pathology. 2014; 66 : 281-91 . Bwititi P., Musabayane C. T., Nhachi C. F.. Effects of Opuntia megacantha on blood glucose and kidney function in streptozotocin diabetic rats. Journal of Ethnopharmacology. 2000; 69 : 247-52 . Lert‐Amornpat T, Maketon C, Fungfuang W. Effect of Kaempferia parviflora on sexual performance in streptozotocin‐induced diabetic male rats. Andrologia. 2017; 49 : e12770 . Tzeng T. F., Hong T. Y., Tzeng Y. C., Liou S. S., Liu I. M.. Consumption of polyphenol-rich Zingiber Zerumbet rhizome extracts protects against the breakdown of the blood-retinal barrier and retinal inflammation induced by diabetes. Nutrients. 2015; 7 : 7821-41 . Yu Zengyang, Gong Chenyuan, Lu Bin, Yang Li, Sheng Yuchen, Ji Lili, Wang Zhengtao. Dendrobium chrysotoxum Lindl. alleviates diabetic retinopathy by preventing retinal inflammation and tight junction protein decrease. Journal of diabetes research. 2015; 2015 . M. Das, B.P. Sarma, A.K. Khan, M. Mosihuzzaman, N. Nahar, Ali L., A. Bhoumik, B. Rokeya. The antidiabetic and antilipidemic activity of aqueous extract of Urtica dioica L. on type2 diabetic model rats. Journal of Bio-Science. 2009; 17 : 1-6 . Huseini H Fallah, Fakhrzadeh H, Larijani B, Samani AH Shikh. Review of anti-diabetic medicinal plant used in traditional medicine. Journal of Medicinal Plants. 2006; 1 : 1-8 . Salahi Moghaddam. Medical Climatology of Iran. Journal of Army University of Medical Sciences. 2012; 2 : 49 . Rao M Upendra, Sreenivasulu M, Chengaiah B, Reddy K Jaganmohan, Chetty C Madhusudhana. Herbal medicines for diabetes mellitus: a review. Int J PharmTech Res. 2010; 2 : 1883-1892 . Bailey C. J., Day C.. Traditional plant medicines as treatments for diabetes. Diabetes Care. 1989; 12 : 553-64 . F Sadeghzadeh, A Eidi, K Parivar, A Mazooji. Hypoglycemic Effect of Alcoholic Extract of Salvia nemorosa in Normal and Diabetic Male Rats. Pejouhesh dar Pezeshki (Research in Medicine). 2008; 32 : 233-238 . Xie Weidong, Zhao Yunan, Zhang Yaou. Traditional chinese medicines in treatment of patients with type 2 diabetes mellitus. Evidence-Based Complementary and Alternative Medicine. 2011; 2011 . Kavishankar GB, Lakshmidevi N, Murthy S Mahadeva, Prakash HS, Niranjana SR. Diabetes and medicinal plants-A review. Int J Pharm Biomed Sci. 2011; 2 (3) : 65-80 . Davis S. N.. Goodman and Gilman’s the Pharmacological Basis of Therapeutics Pergamon Press: NY Giese; 2006. Islam Dipa, Huque Amdadul, Sheuly, Mohanta Liton Chandra, Das Sadhan Kumar, Sultana Abida, Evena Parvin Lipy, Prodhan U. K.. Hypoglycemic and hypolipidemic effects of Nelumbo nucifera flower in Long-Evans rats. Journal of Herbmed Pharmacology. 2018; 7 : 148-54 . Rahimi-Madiseh M., Karimian P., Kafeshani M., Rafieian-Kopaei M.. The effects of ethanol extract of Berberis vulgaris fruit on histopathological changes and biochemical markers of the liver damage in diabetic rats. Iranian Journal of Basic Medical Sciences.. 2017; 20 : 552-6 . Maideen N. M. Pakkir, Balasubramaniam R.. Pharmacologically relevant drug interactions of sulfonylurea antidiabetics with common herbs. Journal of Herbmed Pharmacology. 2018; 7 : 200-10 . Kazemi S., Shirzad H., Rafieian-Kopaei M.. Recent findings in molecular basis of inflammation and anti-inflammatory plants. Current Pharmaceutical Design. 2018; 24 : 1551-62 . Rahimi-Madiseh M., Heidarian E., Kheiri S., Rafieian-Kopaei M.. Effect of hydroalcoholic Allium ampeloprasum extract on oxidative stress, diabetes mellitus and dyslipidemia in alloxan-induced diabetic rats. Biomedicine and Pharmacotherapy. 2017; 86 : 363-7 . Boyle J. P., Honeycutt A. A., Narayan K. M., Hoerger T. J., Geiss L. S., Chen H.. Projection of diabetes burden through 2050: impact of changing demography and disease prevalence in the U.S. Diabetes Care. 2001; 24 : 1936-40 . Azizi F., Hatami H., Janghorbani M.. Epidemiology and Control of Common Disease In IranEshtiagh Press : Tehran; 2007. James E.. Graham, Diane G, Stoebner May, Glenn V, Health Related Quality Of Life In Older Mexican Americans With Diabetes. Health and Quality of Life Outcomes. 2007; 5 : 1-7 . Jamshidi-Kia F., Lorigooini Z., Amini-Khoei H.. Medicinal plants: past history and future perspective. 2018; 7 : 1-7 . Asadi-Samani M., Bagheri N., Rafieian-Kopaei M., Shirzad H.. Inhibition of Th1 and Th17 cells by medicinal plants and their derivatives: a systematic review. Phytotherapy Research. 2017; 31 : 1128-39 . Karami S., Roayaei M., Hamzavi H., Bahmani M., Hassanzad-Azar H., Leila M.. Isolation and identification of probiotic Lactobacillus from local dairy and evaluating their antagonistic effect on pathogens. International Journal of Pharmaceutical Investigation. 2017; 7 : 137-41 . Rabiei Z., Gholami M., Rafieian-Kopaei M.. Antidepressant effects of Mentha pulegium in mice. Bangladesh Journal of Pharmacology. 2016; 11 : 711-5 . Jalaly L., Sharifi G., Faramarzi M., Nematollahi A., Rafieian-kopaei M., Amiri M.. Comparison of the effects of Crataegus oxyacantha extract, aerobic exercise and their combination on the serum levels of ICAM-1 and E-Selectin in patients with stable angina pectoris. Daru : Journal of Faculty of Pharmacy, Tehran University of Medical Sciences. 2015; 23 : 54 . Bolkent Sehnaz, Akev Nuriye, Ozsoy Nurten, Sengezer-Inceli Meliha, Can Ayse, Okyar Alper, Yanardag Refiye. Effect of Aloe vera (L.) Burm. fil. leaf gel and pulp extracts on kidney in type-II diabetic rat models. Indian Journal of Experimental Biology . 2004; 42 : 48-52 . Sarrafchi A., Bahmani M., Shirzad H., Rafieian-Kopaei M.. Oxidative stress and Parkinson’s disease: new hopes in treatment with herbal antioxidants. Current Pharmaceutical Design. 2016; 22 : 238-46 . Baradaran A., Nasri H., Rafieian-Kopaei M.. Erythropoietin and renal protection. Daru : Journal of Faculty of Pharmacy, Tehran University of Medical Sciences. 2013; 21 : 78 . Setorki M., Nazari B., Asgary S., Azadbakht L., Rafieian-Kopaei M.. Anti atherosclerotic effects of verjuice on hypocholesterolemic rabbits. African Journal of Pharmacy and Pharmacology. 2011; 5 : 1038-45 . Shirzad H., Shahrani M., Rafieian-Kopaei M.. Comparison of morphine and tramadol effects on phagocytic activity of mice peritoneal phagocytes in vivo. International Immunopharmacology. 2009; 9 : 968-70 . Asgari S., Setorki M., Rafieian-Kopaei M., Heidarian E., Shahinfard N., Ansari R.. Postprandial hypolipidemic and hypoglycemic effects of Allium hertifolium and Sesamum indicum on hypercholesterolemic rabbits. African Journal of Pharmacy and Pharmacology. 2012; 6 : 1131-5 . Rahimi-Madiseh M., Lorigoini Z., Zamani-Gharaghoshi H., Rafieian-Kopaei M.. Berberis vulgaris: specifications and traditional uses. Iranian Journal of Basic Medical Sciences.. 2017; 20 : 569-87 . Rabiei Z., Rafieian-Kopaei M., Mokhtari S., Shahrani M.. Effect of dietary ethanolic extract of Lavandula officinalis on serum lipids profile in rats. Iranian Journal of Pharmaceutical Research. 2014; 13 : 1295-301 . Bahmani M., Sarrafchi A., Shirzad H., Asgari S., Rafieian-Kopaei M.. Cardiovascular toxicity of cyclooxygenase inhibitors and promising natural substitutes. Current Pharmaceutical Design. 2017; 23 : 952-60 . Asgary S., Sahebkar A., Afshani M. R., Keshvari M., Haghjooyjavanmard S., Rafieian-Kopaei M.. Clinical evaluation of blood pressure lowering, endothelial function improving, hypolipidemic and anti-inflammatory effects of pomegranate juice in hypertensive subjects. Phytotherapy Research. 2014; 28 : 193-9 . Rabiei Z., Naderi S., Rafieian-Kopaei M.. Study of antidepressant effects of grape seed oil in male mice using tail suspension and forced swim tests. Bangladesh Journal of Pharmacology. 2017; 12 : 397-402 . Bahmani M., Sarrafchi A., Shirzad H., Rafieian-Kopaei M.. Autism: pathophysiology and promising herbal remedies. Current Pharmaceutical Design. 2016; 22 : 277-85 . Rouhi-Boroujeni H., Heidarian E., Rouhi-Boroujeni H., Deris F., Rafieian-Kopaei M.. Medicinal plants with multiple effects on cardiovascular diseases: a systematic review. Current Pharmaceutical Design. 2017; 23 : 999-1015 . Shayganni E., Bahmani M., Asgary S., Rafieian-Kopaei M.. Inflammaging and cardiovascular disease: management by medicinal plants. Phytomedicine. 2016; 23 : 1119-26 . Karimi A., Mohammadi-Kamalabadi M., Rafieian-Kopaei M., Amjad L., Salimzadeh I.. Determination of antioxidant activity, phenolic contents and antiviral potential of methanol extract of Euphorbia spinidens Bornm (Euphorbiaceae). Tropical Journal of Pharmaceutical Research. 2016; 15 : 759-64 . Heidarian E., Rafieian-Kopaei M.. Protective effect of artichoke (Cynara scolymus) leaf extract against lead toxicity in rat. Pharmaceutical Biology. 2013; 51 : 1104-9 . Asgharzade S., Rafieian-Kopaei M., Mirzaeian A., Reiisi S., Salimzadeh L.. Aloe vera toxic effects: expression of inducible nitric oxide synthase (iNOS) in testis of Wistar rat. Iranian Journal of Basic Medical Sciences.. 2015; 18 : 967-73 . Hajian N., Rezayatmand Z., Shahanipur K.. Preventive effects of Allium hirtifolium Boiss methanolic and aqueous extracts on renal injury induced by lead in rats. 2018; 7 : 155-9 . Bahmani M., Zargaran A., Rafieian-Kopaei M.. Identification of medicinal plants of Urmia for treatment of gastrointestinal disorders. Revista Brasileira de Farmacognosia. 2014; 24 : 468-80 . Karami S., Roayaei M., Zahedi E., Bahmani M., Mahmoodnia L., Hamzavi H.. Antifungal effects of Lactobacillus species isolated from local dairy products. International Journal of Pharmaceutical Investigation. 2017; 7 : 77-81 . Behzad Moradi, Saber Abbaszadeh, Somayeh Shahsavari, Mohsen Alizadeh, Fatemeh Beyranvand, 2018.